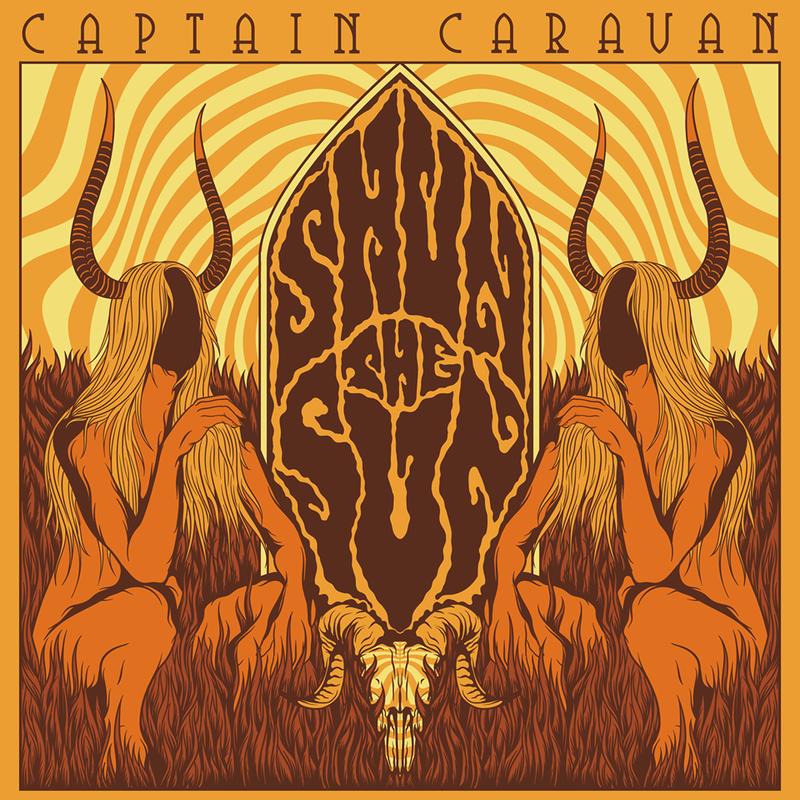 Captain Caravan recently released Shun the Sun, their debut. They were formed in 2015 in Egersund, Norway. Who’s in Captain Caravan and what do you all play? Have you all made any changes to the lineup since you started or is this the original lineup? BK: Captain Caravan is: Morten Skogen (drums), Johnny Olsen (vocals), Geir Solli (bass) and BK Saestad (guitar). We started out in 2015, but then with a different singer, Christian Stokkeland. It didn’t work out, so about a year ago Johnny joined, after a couple of months without a singer. Morten knew Johnny from playing together in the band “Alien Ken” some years back. When Morten asked him to join his first reply was “I am done with playing in bands”, but after listening to our recordings he quickly changed his mind, haha. Johnny was the perfect match for us. BK: Listening to my older brothers’ records. Especially Van Halen’s Women and Children First made a big impact on me as a small kid. I was in first grade when I decided I will become a guitarist in a rock band after seeing a poster of Scott Gorham from Thin Lizzy, with his Les Paul guitar and long hair. Coolest dude ever, I wanted to be like that! GS: I’ll say that Guns N’ Roses’ Appetite for Destruction really hit me big time, still remember hearing “Paradise City” while my older brother took me for a ride in his car, and he gave me the tape right after. Think I must have been 11 years old then. And that album is still one of my overall favorites! JO: The first exposure were records we had at home, radio and playing tapes in the car. I remember the thrill of having to learn to put a vinyl record on because you had to be careful and do it right. We had a lot of Country and Western records at home but the greatest impact on me was in the library in Stavanger, putting on “Eruption” by Van Halen, I just thought that was the greatest thing ever…and it still is. MS: Growing up in the 80’s, it was all about classical heavy/rock for my part. I remember me and my friends used to play with toy-cars listening to TNT, Alice Cooper & Europe. I still have my first CD that I bought from my own money – Europe, Prisoners in Paradise, and every time I listen to it, it still reminds me of those days. GS: I met BK about 25 years ago for the first time, he played in the band Pawnshop and they were huge at the time, we actually played in a punk band back then for a brief time between their tours. We then met again when I joined this band in 2015. Me and Morten hooked up about 20 years ago, we played in a death metal band called Antarctica back then for some years back then. Johnny is a quite new relationship for me that started a year ago when he joined us. BK: Yeah, Geir and I played in this punk band in the nineties for a while. After Pawnshop stopped touring, I did not play at all for quite a while. Ten years ago, I started a cover band with some friends, and that was kind of the startup of Captain Caravan, coming to think of it. After a while Morten joined on drums. Then we decided to hire a new singer and Morten brought in Christian, the first Captain Caravan singer. The band broke up and the three of us decided to start a new band with original material. Geir joined in on bass and that was the start of Captain Caravan. JO: I met Morten in 2015 when I stepped it to do a gig with Alien Ken. He called last year and asked if i would join Captain Caravan and that’s when I met BK and Geir. MS: As Geir mentioned, our musical journey started about 20 years ago. Though in a bit heavier genre – death metal. BK has somehow always been around for my part. He used to be a guitar-teacher in my town, and has always been the cooler older guy. Our paths did not cross musically before we started a cover band about 8 years ago. Regarding Johnny-Boy, I have known him 2-3 years. We did a couple of gigs together with a band called Alien Ken. When we started the search for a new singer, I remembered him, and we got in contact again. It was a perfect match. MS: The music has been a big part of my life since I can remember. My first instrument was a keyboard I got for my birthday when I was 7 years old. Me and my buddy immediately started a band, and I still remember us beating on furniture and the keyboard whilst recording everything on the cassette player. It wasn’t before I turned 16 that it got more serious. I have played in many different bands since then, even a couple of cover bands. But no doubt – I always had the most fun when we’ve played our own music. JO: That has happened gradually over time, I have been in bands and have been writing songs since my early teens, but I just did it…I never sat down and decided to do it. What does the name “Captain Caravan” refer to? GS: Well, that is a hard question to answer. We stumbled around messing with band names and it were really hard to find something that could fit the band, and not already taken by others. In the end we landed on Captain Caravan, so it is more a coincidence then a well thought band name I’ll say, haha. It is kind of an odd band name, but we got stuck with it in the end. BK: It starts with some riffs or a draft for a song from me and sometimes Geir and we start jamming on it. The best way for us to arrange songs is to jam until we have a complete arrangement. Everyone brings in ideas. Sometimes the original riff is no longer part of the song when it is completed. When writing new stuff we know are a four piece, compared to when writing Shun the Sun. So we can arrange the songs with the vocals in place as well. I carry a little book with me where I write down ideas, words and phrases, that helps me a lot. I try to write a few lines every day. With the songs there are several layers where the most important ones are riffs, grooves and melodies, so that’s what we focus on when we write…getting the groove right…you know you are close when heads start moving up and down, feet start tapping the beat and smiles appear in everyone’s faces. After that the songs should be played and organically “find” their final state…and then I reach for my little black book, hahaha. I want the lyrics to be something you discover later, after the effect of riff, grove and melodies wear off. That’s why I spend a lot of time making sure they are good or as good as I can make them. With this album since the tracks were already done I had to first learn the songs and find out what they were about and then find the melodies and words that fit the songs. Can you share some further details how your latest album Shun the Sun was recorded and released? BK: Well, that process was kinda special. Before we parted with Christian end of 2017, we had a full album recorded. After we split, we decided to re-invent ourselves, start from scratch and make new music. 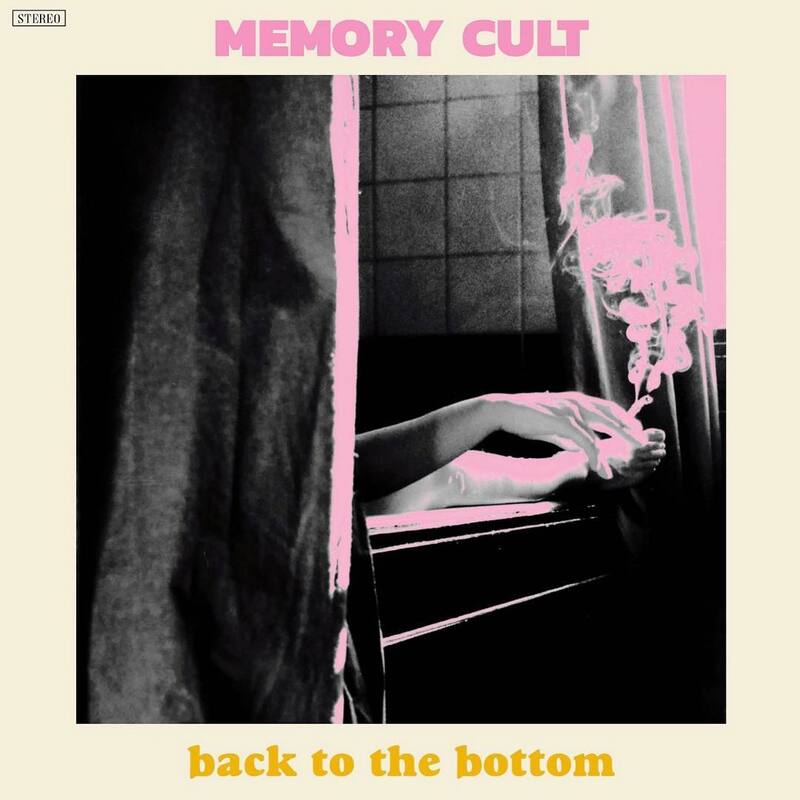 The only thing we kept was the cover art made by Diogo Soares and the album title. I remember thinking this album cover deserves some doomy riffing. So, there is no doubt that the artwork had an impact on the song writing. After just a month or two we had enough songs for an EP. We could not sit around waiting for a new singer, so we went for the recording process right away. I have my own studio, so we started tracking the drums and went on from there. When Johnny joined a couple of months later, we said, these are the songs, no leashes, so he started writing the lyrics and worked on the vocal melodies. And it just fit in. The first song we completed with vocals was “Crown”. We hooked up with Kent Stump from the band Wo Fat (interview here and here), who also works for Crystal Clear Sound recording studio. He mixed and mastered the track. It just sounded awesome! Fat, big sound with a lot of punch, no need for any adjustment. We released the song digitally and immediately got fantastic response. Niels from Cursed Tongue Records contacted us and offered a record deal for vinyl release. At that time, I think “Crown” was the only song he had heard from us. Niels wanted a full album, so we recorded a few more songs, sent to Kent for mixing and mastering and the rest is history. A lot have happened since then, it just took off man! And we have to thank Niels at Cursed Tongue Records for all he has done for us. GS: The very talented guy Diogo Soares at Soares Artwork made the front piece for us, and also made the foundation for the whole layout. We hooked up with him when we saw the amazing pieces he made for festivals, events and other bands. Our good friend Joakim Kyrø took the killer picture that is inside the gatefold, and Michael Andresakis who does graphic design for Cursed Tongue Records, made the layout design for the whole album and wrapped it all together. TP insert is made by Hilmy Atma and the poster in the Yellow edition is made by Shane Jones at Shane Horror Design – all great artists that should be checked out by all readers here. Niels at CTR have an good eye for picking the right people working together making the best possible outcome for each of his signings. It sure came nicely together in the end, it perfectly blends in with all the amazing albums that comes from Cursed Tongue Records. We could not be happier with the result. Who are some of your personal favorite bands that you’ve had a chance to play with? BK: We have only played local venues so far however, we are looking forward playing with great band in Las Vegas and LA in May. The Planet Desert Rock v2 festival in Vegas have loads of great well-known bands as John Garcia, Red Fang (interview here), Radio Moscow (interview here) and Nebula (interview here). For us it is also special to share the stage with other up and coming bands from Europe on the Sunday Finale, like Kaiser, Monsternaut, Omega Sun and 1968. MS: Our future plans is first and foremost to promote our new album. Get out there playing as much as possible. Meet new people and connections. We think that is the main key if you want to go somewhere with your music. Beside that – we also need to make more music. That is always exiting, but this time, even better now that we have Johnny with us for the whole process. JO: Yes, playing live and meeting loads of new friends will be the main focus for the near future. I know riffs are already being made for the next album and I am always writing but there is no rush. Let’s end this interview with some of your favorite albums. Have you found something new lately you would like to recommend to our readers? GS: It became natural to check all the bands who we’ll join forces with at Planet Desert Rock Weekend in Las Vegas in May, most of them were well known to us – still very pleasing to find new ones to dive into. Hard to list all favorites and new findings, but on my turntable Black Prisms self-titled album has been spinning a lot while waiting for the Omega Sun’s Opium for the Masses vinyl to arrive in the mailbox. BK: There is so many great bands coming out from the underground at the moment who deserves to be mentioned, like Rifflord, Taiga Woods, Saint Karloff and Kaiser. I could easily mention 50 bands who deserves to break through. MS: One of the last vinyl I bought was a German band called Stonehenge – Bunch of Bisons (released in 2013). A superb mixture of Stoner and Deep Purple! Also the records of The Devil and the Almighty Blues get a lot of playing time in my ears. JO: My favorite albums are old and quite a varied list from artists like The Beatles, Led Zeppelin, Ozzy and Red Hot Chili Peppers…One of my favourite bands today is the mighty Mastodon. Since I joined this band I have started on a journey of rediscovery of both music and vinyl. I love the ritual it is of playing a vinyl record…the bigger format, the artwork and all the passion involved with it all. I love seeing everyone posting pictures of the records they are playing and now starting to see our album in those pictures is absolutely amazing to me. Johnny: We are first of all fans of music and people with a great passion for what they do. We are really looking forward to be meeting you all on the road, don’t be shy…come and say hello and hopefully we can also disturb some that are too comfortable and to comfort some of the disturbed.